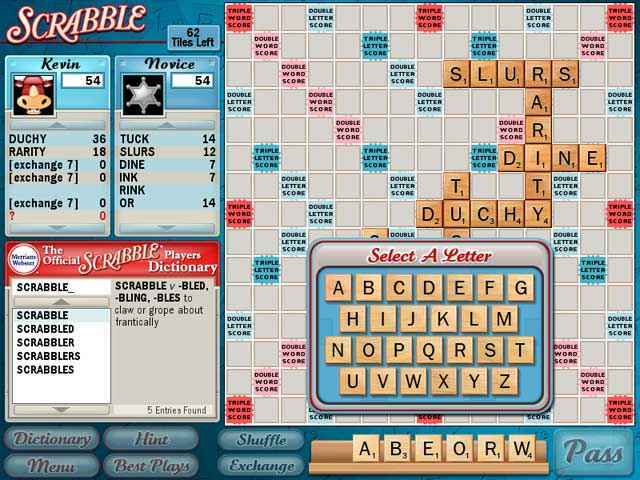 If you love Scrabble, you'll love this interactive version of the world's best-loved word game. Play as you've always known, but now you can experience stunning graphics, multiple difficulty levels, pop-up menus, and more. 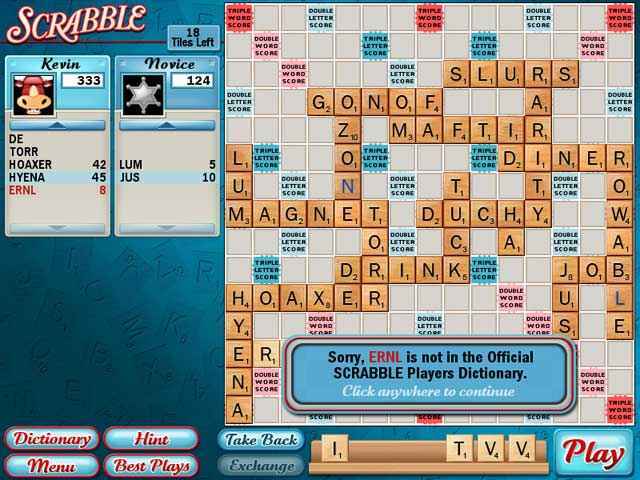 Scrabble comes to life on your desktop in one easy download, a whole new level of fun! The classic way to spell word game fun is now the ultimate way to spell fast fun for the entire family. Play against one of eight challenging computer opponents or take on your friends and family in 4 different game modes. Play the way you remember in Classic mode, race against the clock in Blitz, climb to the top in a Tournament, or set up a Custom Tournament and play SCRABBLE your way! Innovative and helpful features like Best Play, Hints, and The Official SCRABBLE Players Dictionary allow SCRABBLE fans of all skill levels to join in the fun. A family favorite for generations of gamers, you've never seen SCRABBLE like this before! You can also search for other versions of Scrabble games here. I usually play the older version of Scrabble, but this time I decided to use this one and they chose a player for me who continues to pass and pass time and time again.